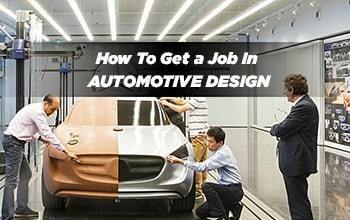 How to get a job in automotive designing? One obvious question that can get who has interest in automotive designing. We are going to address this question in this blog and at the end, you will be having a clear idea about the process and different roles in automotive designing. Automotive designing is a job of perfection and there are different roles inside the automotive industry, depending on your interest and area of experience. Some of the key roles or jobs in the automotive industry are as follows. Illustrator: As an illustrator, your responsibility is to create dummy life to a product in order to analyze virtually before moving to mass production. Roles like sketching and rendering expert are also aiming towards the same focus to achieve required looks and functions. Clay model: When a final product is being visualized and designs are ready, then it’s the time for developing a clay model to see the 1:4 model of actual car or motorcycle. clay model experts are from crafting area, as they have to craft a clay based on designers provided by the designing team. We have seen a recent shift in this segment, Jobs for clay Modelling are disappearing as it is taken over by digital modeling. With modern tools, designers can express their idea in digital format in less time and inexpensive way. Fast Alias modeling (CAS Modelling) is in high demand as it is the better way to explore concepts before selection. A person defines and designs the ambiances, colors, and materials for the interior of a car, in coherence with the brand image and the trends, while integrating the economic and industrial constraints. Profile needed greater observation and unique taste in material selection. Alias model experts: Alias is a 3D modeling software which is used by almost every automotive company to develop a model for getting into mass production. Companies create fast models or CAS models of concepts illustrate by designers. Once the final product and its parts shape been tested and given approval for mass production, Alias come into play. With world redefining surface technology experts obtain a class A surface finish as it is must be required in all most all the products. Alias is one of the markets demanded job profile as there are many vacancies out there in the real world. Irrespective of your discipline if you do a certified software course in alias modeling you have the best chance to get into automotive designing, as it doesn’t require any sketching or rendering skills, purely depending on your skills on using the Alias software for the high quality of the product. Click here for alias software training courses. There are many other profiles exists in the industry according to the need of particular organization. Eligibility: there are no hard and rules that you have to be from designing fields, nowadays engineering professionals also get into designing fields after getting proper training. So anyone from any background but passion towards designing are eligible to apply for a job, and if you have a bachelors or master degree in automotive designing is good for the career to grow. Research and apply for a job: attend the annual conferences and research on designing studios, start building your network and take reference from already employed friends or family if you have any in this industry. Start applying for jobs and make sure you give an interview when you are ready for it because unlike other industry it doesn't carry many jobs, so opportunities are less give your best shot.